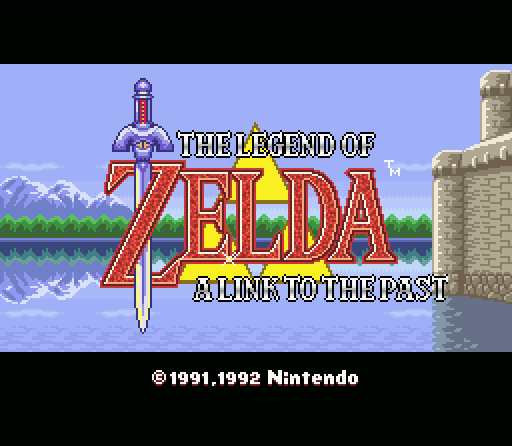 Welcome to the official discussion thread for The Legend of Zelda: A Link to the Past on the SNES! To start, please add this game to your log, add it to your collection (if applicable), and (when you are ready) rate it using the link above! I started playing this game again - A cold, rainy day - perfect conditions to sink into the world of Zelda all over again. This game officially made me a fan of the series so it will always hold a special place in my heart. A Link to the Past - to play then, now and in the future! It really is a very friendly game to get into. Mrs_Mustache beat this one on her own, though she struggles/struggled with Legend of Zelda, and Ocarina of Time gave her a whale of a time here and there. Neat stuff! Played it for the first time this Summer. Planning on doing a review of it, one of these days. One heck of a masterpiece. This game. This game is a pretty good game. Yep. I just got the 2nd crystal... loving it all over again. If I could make out with a game, it would be this one. Still my favorite game of all time... I have to try really hard to pick out flaws. I wish Nintendo would have their current Zelda team study its design... especially the brilliant overworld and the way that the game helpfully guides the player without insulting their intelligence and defeating the purpose of an action-adventure game altogether. These are the areas that the modern games are still suffering the most. Lucky for you, you can! Use your own cartridge though..
@Mr_Mustache Even though you're not a handheld guy, you owe it to yourself to play Link's Awkening on a Super Game Boy or something. Game Boy Player maybe? I don't know what he has against a Game Boy player. I've suggested it to him before. Every single one of his objections disappear with that miracle device. I'm just sad I never picked one up. Always meant to, but never did. I've used the GameBoy Player before. "EH." --What do these comments have to do with Link to the Past?! Shame on the both of you! One of my favorite games of all time. The game is flawless in it's exection and is one of those all time greats. I can only assume Pogue is trying to use LttP as a way of pushing LA. Shameful. ...and I was just following on from his comment. What's 'EH' about the Game Boy player anyway? The best game. Ever. I play it at least once a year from beginning to end. Music, graphics, gameplay...perfection. This is seriously one of my favorite games ever. If not my favorite, period. So awesome. The weird thing is that it is yet another SNES title that, despite loving the NES game, I kind of avoided for a long time. I have no idea why. I just vaguely recall playing it somewhere and it felt weird and confusing. But then again I was jumping into the middle of someone else's game with no context. Anyway, eventually I borrowed it from a cousin or something and played through the whole game in like a week or two. Loved every minute of it. It was like the NES game x 1,000. A Link to the Past is a brilliant game. It holds up incredibly well to this day, and pretty much created the formula that Zelda games still follow today -- but despite the fact that games have iterated on that formula for two decades now, ALttP is still the best example of it. If we're being honest, in general I think I prefer Link's Awakening, but that's certainly not a knock against A Link to the Past. It's still pretty much a perfect game. Everyone should play both. This is an excellent game, but I do feel it's a little...I dunno, routine? By Zelda standards. I think the gameplay is strong, but the dungeon-to-dungeon gameplay is fairly basic compared to what later games brought to the between-dungeon stuff (LA's various silly scenarios, OoT's greater emphasis on character development and exploring new realms). In addition, the dungeons themselves were fun but not particularly amazing or memorable. I feel there was more personality to several of the other best Zelda games. Then again, seeing as how my favorite Zelda is the original, character development, charm, and even dungeon design aren't necessarily the most important aspects of the series. I'll be the sole dissenting opinion. I've tried for years to play through and like LttP. It's just never fun for me. The dark world is tedious, much of the game is claustrophobic-feeling, there are plenty of tracks in the soundtrack I outright dislike, and I'm not the hugest fan of the art style (though certainly no deal-breaker to me). I can see the quality behind the product, I can see how well-made and designed it is, but I still just never have fun when I play it. I think I'm halfway through the dungeons in the dark world? I just can never make myself want to progress more. It's a shame, too, with how much praise the game gets. It kinda scares me for LttP2. Many people want a ton of things to be the same, but I want it to be as different from LttP as possible! Just politely sit on the bench for ALBW and let Hinph have a little happiness in his life! ... but seriously? I don't think you have much to worry about so long as you like 2D Zelda games. I'm sure ALBW will be different in many ways. LTTP is a Tezuka Zelda. ALBW is Aonuma. The two have very different design styles. There's no way that at least a few Aonumaisms didn't make it into this new game, for better or worse. Currently replaying the game and my gosh! The difficulty jump between the 2nd and 3rd dungeons is massive! Seeing cracks in the design for the first time ever and it makes me sad.